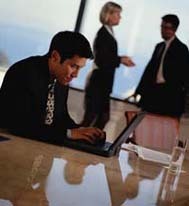 Mission Critical to any business is their databases of customers, products, employees and operations. Modeling, design, development, and Database Administration can define a company's assets, advantages and objectives. CapeCode understands the intrinsic value of that data and the importance of designing and maintaining the systems that hold and share that information. We provide consulting services in such specialized area as Rochade Metadata Repositories to IBM's DataStage.